“The Garden Racecourse” is home to the Brisbane Racing Club and hosts around 46 meetings a year. First opened in 1933, Doomben Racecourse is a picturesque venue with beautiful gardens surrounding the track. There are 24 Saturday race meets, 2 public holiday race meets and 20 midweek meetings. Hosting the Brisbane Winter and Summer Racing Carnivals, Doomben is an oval track with tight turns before and after the 350m straight. The right handed track has a 1715m circumference and features three chutes from the 1350m, 1615m and 2200m marks. The Main Grandstand at Doomben Racecourse provides racegoers with the perfect vantage point to watch all of the racing action. During May, Doomben hosts three major Group 1 events starting with the $400,000 BTC Cup which is a 1200m weight-for-age race. 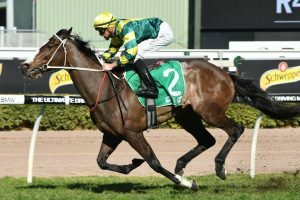 The next race is the 2020m Doomben Cup which is also a weight-for-age race worth half a million dollars in prize money. Lastly, the Doomben 10,000 is a 1350m weight-for-age race worth $650,000. Apart from numerous listed races, Doomben also hosts the Group 3 George Moore Stakes in December which is a 1200m Quality Handicap. This event offers the race’s best sprinter $200,000 in prize money. The nearest train station is Doomben Station, on the Doomben line. It is then a short walk along Onslow Street to Doomben Racecourse. Plan your journey with QLD Translink. Route 302, 303 and 304 go from Brisbane City to Doomben. Visit Translink for bus timetables. Doomben Racecourse is on Nudgee Road, 8kms north of the Brisbane CBD – about 25 minutes along Kingston Smith Drive.